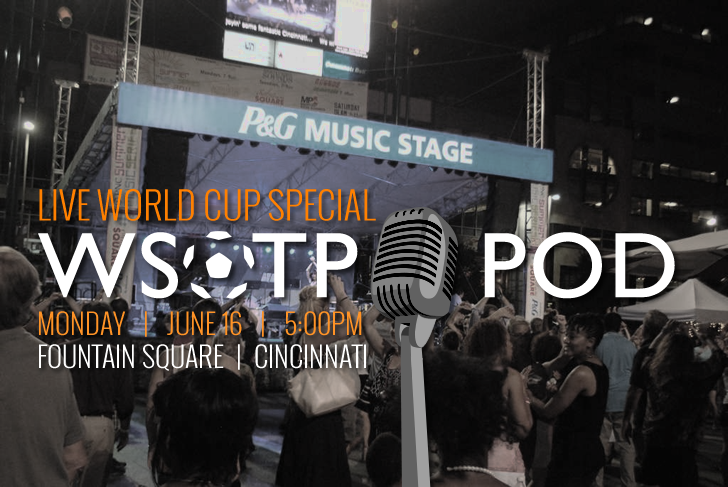 come out and enjoy a WSOTP podcast before the USMNT v ghana game! Without a doubt, this has been one of the best World Cups I’ve ever had the privilege to witness, and this is my seventh. Goals galore. Drama out the wazoo. Zero draws. It’s the kind of action that doesn’t leave the soccer haters much room for bitching, and I’m smiling ear to ear because of it. And with the US kicking off today, there may very well be more of that in store. Though hopefully all in our favor. If you somehow missed it, those in or near Cincinnati should come down to Fountain Square to catch Cincinnati Saints and Hoist’s live watch party for the US game tonight! The WSOTP Podcast team — myself and Jeremy Lance — will be recording a podcast live an hour before kickoff at 5pm, so definitely make your way out for that. We’ll have food, activities for the kids, appearances from the Saints team… and beer. Yeah, beer. And in the mean time, below you’ll find a collection of my favorite links from the opening few days of action in Brazil.